Brilliant! I thought that absolutely everything about this film was exceptional, but the performances by the actors are what make it for me. 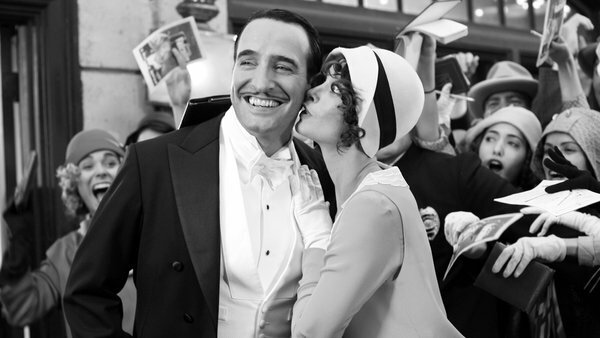 Jean Dujardin deserved the Palme D’or and Golden Globe for this wonderful performance, Berenice Bejo is captivating as the beautiful Peppy Miller and of course Uggie the dog is hilarious! It was just brilliant, I absolutely loved it. I was worried going in as I was sure it could not possibly live up to the hype, but I was wrong. I’m sure it will go down in history as a must watch for any film lover and if it cleans up at the Oscars I don’t think anyone would disagree (that said I do hope Hugo wins big on the night, as it was one of my films of 2011). The Artist had that rare quality in that as soon as it was over I was thinking about seeing it again. If you haven’t seen it already I can’t recommend it enough. Stop reading this and go see it now!